Hey everyone! I've decided to try out something new. So, here's goes! These six sentences are when Adara see Rei in human form for the first time. Her words and anger stuck in her throat as she realized a tiger no longer stood before her. The beast had been replaced by a man. A man with dark brown eyes and a sensual mouth. His large build shocked her. Her kind was tall, yet he towered over her. The sight of him stole her breath. Jungle Heat now available from Changeling Press. Hey everyone! I hope you're all doing fantastic. This week I've been working on revising Hacked Investigations 2: Savage Bytes to turn into my editor. I'm pretty excited about this book since I love writing about Ian and Hannah. Once I finished writing it, I suddenly had an idea for a free read and a possible related short story regarding one of my favorite secondary characters, Leon. *grins* I love it when that happens. Although, next I'll be working on The Amazon Chronicles 2: Jungle Fire, so I don't have time to work on the new exciting idea for a month or so. But I'll be ready! In celebration of finishing up Savage Bytes and Jungle Heat's recent release, I'm going to do a giveaway of one (maybe two depending on how many comments I get) of your choice of either Techno Crazed or Jungle Heat if you leave a comment. You'll get one extra entry for each of the following, follow the blog, follow my Twitter @sarahmakela, and Tweet or Retweet. (Please let me know in the comment, if you do the extra entries.) I'll pick the winner(s) next Friday right here! An appearance update: I'm going to have an interview with Marsha A Moore on August 4th for Jungle Heat's release. She asked some awesome questions, so I'll give the link for you all to check it out when I have it. Okay, enough about me. What do you have planned for the weekend? Anything super exciting? Originally posted at Julia Rachel Barrett's June 14, 2011. Inspiration, the muse, etc. certainly has a way of springing ideas when we’re not expecting them. It’s a powerful thing to be pounced on by an idea for a new book or to have something just click together within the story you’re working on. The only problem is that those times aren’t regular or predictable. So what do you do when you have to figure something out and you don’t have the luxury of waiting for the muse? For me, I sometimes find my way through music. I love listening to it. Pandora Radio has been what I write to for the past few years. I’ve found so much awesome music on there I never would have found out about without it. Songs tend to spark ideas for me. I also love movies and television. Occasionally those are a good way for things to fall into place in your head. I had a scene in Techno Crazed where I wasn’t sure if I was doing things right. I watched an episode of the show Criminal Minds, and it confirmed that I was on the right track in my head. Another way is I find ideas is brainstorming with my husband and/or critique partner, Kinley Baker. I throwing around things with them since they always come up with awesome suggestions. Sometimes I might not use what they said, but something they mention could jog me to go in a direction I hadn’t thought of. So, how do you hunt down your inspiration? Woo! I have the official excerpt for Jungle Heat. Enjoy, and let me know what you think! It comes out tomorrow. Adara raced over the dense forest floor, trying to escape the shadow closing on her heels. Fear pumped adrenaline through her body as she ran toward her village through the darkness. Panic tangled with the sheer need to survive. If only I'd listened. What was I thinking, coming out alone? She shot a glance over her shoulder. Her foot smacked against a tree root in the moment of distraction, pitching her body forward. The fall came in slow motion. Cursing under her breath, she rolled onto her back. Dry leaves clung to her blonde hair. The subtle, musty scent of slow rot rose from the rich soil, mixed with something coming from behind her. The dark shadow loomed. Her gaze rose to take in her pursuer, wondering if the beast would be her doom. The tall, broad-shouldered creature towered over her. Watching. It wasn't human or animal. The village wise woman had warned her of beings like this, but they'd seemed like fables. How could something so fantastical be real? Even as she trembled with fear, this creature captivated her. The black and orange stripes covering his shoulders and arms evoked a distant memory, yet the design was uncommon in the Amazon. His hair hung in straight, black strands like a human's, but his face had the nose, mouth, and eyes of a feline. His muscular, naked body reflected a splendid combination of both species. Sweat-shiny skin glistened through the inch-long fur that covered him. His white chest intrigued her, all the way to the patch of fur barely covering his groin. Leaves and branches framed his face with a lush green background. He crouched over her. His piercing golden eyes focused solely on her. His stare reminded her of a cat from her village staring at a small rodent before pouncing. As he leaned down, she grabbed her kris from the garter on her thigh and pushed it against his stomach. She didn't want today to be the day she died. Her people needed her. She wouldn't let this beast deny them their princess. The animal cocked his head at her. He brushed his lips over her throat, whiskers tickling her chin. Her body stiffened. What is he doing? Bewilderment spread through her as his feline lips touched her neck. Instead of biting her, his canines grazed lightly, gently, from just below her ear down to her shoulder, almost as if exploring her flesh, instead of seeking to rip open her throat. She tensed. Even with her weapon pressed against the beast's stomach, she still feared for her life. As an Amazon princess, she wasn't easily scared. But this feline made her heart pound. If only she had brought Rubia with her. She wouldn't be in this situation and could've stood a better chance against this feline. Why does he persist in toying with me? Adara swallowed as a low burn started in the pit of her stomach. These feelings confused her. A soft sniffing sounded in her ear right before his tongue scraped rough caresses on her skin. Other jungle cats marked their territory. Did this animal believe she was his? She didn't want to find out. Without waiting for the feline's next move, Adara drove the kris deep into his stomach, meeting resistance as it plunged through flesh and muscle. She forced it further as his blood flowed onto her hands, making the hilt of the kris slick, weakening her grip. He roared and leapt back with her kris still embedded in his abdomen. She scrambled to her feet. His scream so near the side of her face made her ear ring. Bringing up a hand to her ear, Adara felt a trail of his wet blood drip along her cheek. 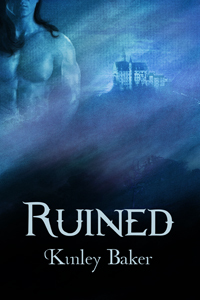 He straightened his spine and strode back to her, her kris still buried in him. It seemed as if it were nothing more than a minor annoyance to him. She clenched her hands into fists and dropped them to her sides. The reality of what she saw struck her. She froze. How could he act so unaffected? He shouldn't have been able to move around so casually. It wasn't possible. How can I outrun something like that? This can't be happening. Her mother had always warned her to be careful when traveling through the forest. Why hadn't she listened? And how could she feel so drawn to this animal when he intimidated her? "Who are you?" Gritting her teeth, she forced her voice to resonate with the commanding tones of an Amazon huntress, and fervently hoped it didn't betray the panic racing through her veins. Her people's beliefs restricted them from showing fear in front of strangers. Not that they saw many. But her tribeswomen were survivors in dangerous times. Their history brimmed with reminders. The feline bared pointed white teeth. "Call me Rei." His husky voice reverberated like a deep growl. He launched into the air and, before she could react, flattened her to the ground. Air whooshed out of her lungs. Her eyes widened and locked onto his. He pinned her arms next to her head and pressed his feline lips to hers. His tongue scraped across her lower lip, causing nips of pain to cut through the alluring sensation. She shook her head hard, breaking the kiss. Her breath rushed out short and quick. Never before had she kissed anyone. His mouth on hers created fiery stirrings within her body that felt almost too good. Her racing pulse only spread the warmth throughout her body that much faster. Twice a year, her tribeswomen associated with Indian men. The younger girls were forced to stay in a hut during those visits, although Adara had snuck out once with Rubia in a fit of rebellion. She'd spotted one of her kin pressing her mouth against an Indian male's. Could this be what happens? But men weren't to be trusted. Her kin had learned that the hard way many, many years ago. Her mind flashed to the tales she'd heard from the wise woman. Horrible reminders assaulted her, memories of the men from long ago, enslaving her kind, killing them ruthlessly with diseases and swords. She could imagine the cruelty of the conquering, pillaging men as vividly as if she had been there herself, so strongly had the wise woman spoken. It had taken weeks for her to sleep soundly after listening to that story. Sudden panic swept away the lust that burned inside her. This creature could do the same. He's chased me, after all. "What do you want from me?" Adara asked, trying to sound forceful, but instead her voice came out husky. She cleared her throat and returned his gaze. Talking with an animal! Rubia would be jealous. Her tribeswomen would never believe this story... if she survived the encounter. Rei smiled, warmth emanating from him. "You." His chest rumbled, and he rolled the word off his tongue like an exotic purr. 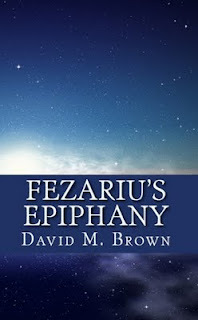 I self-published my first novel, Fezariu’s Epiphany, back in May and while I tentatively await the next reviews and feedback I find myself speculating about which moments readers will enjoy the most. Writing the novel there were scenes I enjoyed writing more than others. The general outline for the novel had been clear in my mind for a while but I found some parts of the book quite tricky to get right. The letters Fezariu sends to Alycea flowed seamlessly onto the page but there is one chapter that stands out above the others for me. In Chapter 20, “The Embers of Redemption,” Fezariu and his comrades in the Merelax Mercenaries get their first taste of combat when they reach the burning city of Redemption on the northeast coast of Emeraldon. I wanted Fezariu’s first real battle to be something quite memorable and writing that chapter was probably the most fun I had with the entire book. The struggle throughout the city proves costly for the valkayan insurgents, the Eligantian colonists they are trying to overthrow and the Merelax Mercenaries sent to help quell the rebellion. "Across the expanse were hundreds of valkayan rebels engaged in an epic tussle with the colonists. Fezariu’s charge of Merelax Mercenaries smashed into the side of the closely packed valkayans who were already in disarray from the showers of arrows raining down on them from General Bayard’s archers. When the last of the bow strings came to rest the fate of Redemption was left to be decided by those fighting in the central square." Chapter 20 leads to an important development in the novel, particularly for Fezariu and the barriers he tries to put up between himself and the trio of comrades – Tessera, Vintaro and Arshea – that he spends most of his time with. 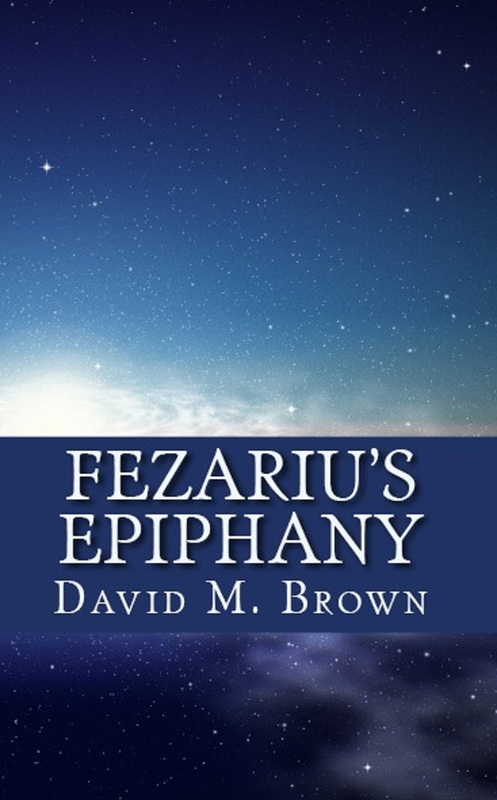 Fezariu acquits himself well in his first battle but the romantic visions of the mercenary life he has dreamed about since being a boy are put to the test in the aftermath of this fierce exchange in Redemption. struggle for Redemption quite well on paper. When writing it I visualised every moment in my head as if watching a film at the cinema and I believe I transferred it as well to the book as I possibly could. That might sound kind of strange since we're supposed to write books and get serious about the craft and our plots and getting our butts in the chair to write and.... Well, all of that is true, but sometimes, writers should go with an idea, a character, a plot twist or whatever the spark is that makes them happy. 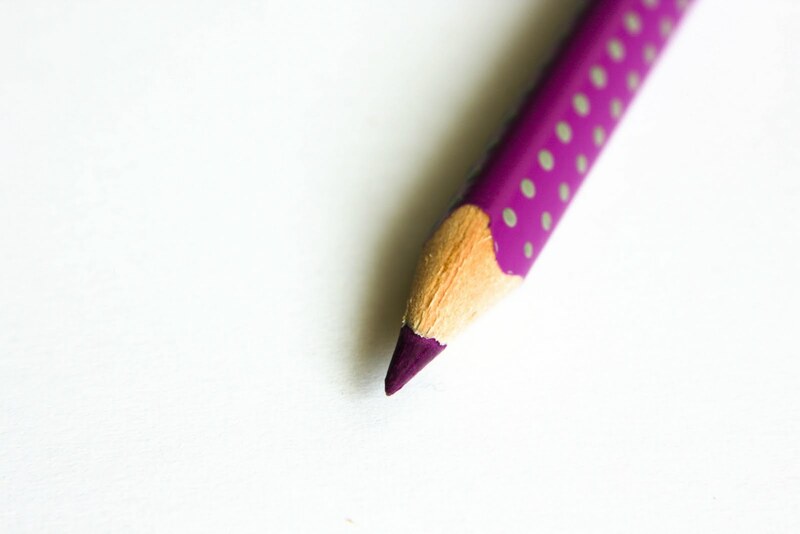 Your story takes hard work to write down, revise, and query. Why go through that process with something that doesn’t thrill you? I've been writing for quite a while. It’s been three years since I’ve had something, anything, published. Yes, I wrote things I enjoyed before, but what is it that I think really took my upcoming release to the next level? Two things. One: I’ve had all of this time to practice the craft while writing several books. Two: I had a LOT of fun writing Techno Crazed. I guess, hopefully, those showed through to the editors and contest judges who picked my manuscript up. So, how can you utilize what makes you happy? Easy! When I started planning my novella in late December, I threw around ideas. Ideas that made me laugh as well as ones that were more serious and dramatic since the book is pretty dark at times. So don’t think I’m writing a romantic comedy! I love those, but my point is, you can -- and probably should -- throw in humor to any kind of book. Or what makes you happy in general. What made me especially happy shaped during the writing. During Thanksgiving and Christmas, there was a video game I played called Fable 3. I really, really loved the game, so when I started my next project, I added in something that reminded me of it. Something other people probably wouldn’t think of unless they played the game and read my book, but if you’re curious... it’s the gnome. Yes, my book is a cyberpunk romance. Yes, I do have a gnome! haha And not just any gnome, but a pretty foul-mouthed and moody one. • If there’s something you find inspiring, think about how you could work it into your novel. • Add some humor to your novel. • Take time to enjoy hobbies. • Read outside your genre. • Give your manuscript time to breathe before you revise it. I hope everyone has had an awesome week! It's been great for me. I've been able to get some work done on my upcoming releases as well as spend quality time with my husband, especially since yesterday was our anniversary! Woo! Next Thursday, Jungle Heat will be released, so I'll be sending out a newsletter on Friday with one lucky subscriber winning a copy of my new book! Want to be that subscriber? Sign up for my mailing list, if you haven't already. If you're already signed up, you don't have to do anything. I should be seeing the official excerpt for Jungle Heat within a day or two, and I'll post it here for you guys when I do. I'm very excited for this book to come out since it's one of the first I'd written several year ago. It has a special place in my heart. I'm thankful to critique partner extraordinaire Kinley Baker for encouraging me and loving it too! If you have the chance, stop by Goodreads and add Jungle Heat and Techno Crazed to your TBR list! Have a great weekend, and I'll see you Monday with a writing topic post! Hey everyone... Sorry for the delayed post today. I've been pretty busy. I can't think of anything interesting to say today, so I'm going to plug one of my critique partners' upcoming books. Enjoy! "You." Fury burned hot under Jessa's skin as she glared at Vale. "Who do you think you are, demanding I come live in this castle? You can't just order your guards to enter a woman's home and pack up her things." "Well, I did." Vale came around the desk and propped one hip against it, more of a threatening than casual movement. "Someone tried to kill me. It makes sense that I have my Healer close by." She released a pent-up breath. "Why couldn't you have explained that instead of mandating?" Silly. Her imagination had run away with her. The king needed his Healer. But the realization he didn't want her made her angrier. "Because I didn't want to give you the option of saying no." She most definitely would have said no. "If you would have explained your reasoning, I would have complied. Your safety and health come first, even if I-"
"Loathe you." She bunched her fingers into two fists, seriously tempted to hit him. For all the nonexistent pain it would inflict upon him. "Do you?" His tone deadened with calm. "Because I can't stop thinking about you." "That's normal." She brushed off the claim. "I saved your life." He moved in a blur. A true Shadow Shifter. One second he stood near his desk, the next he had her in his arms, one locked around her waist and one hand tangled in her hair. Their lips almost brushed. "I can't stop thinking about you." His murmur played down her spine, leaving a tingling trail. His scent invaded her. His voice embraced her like bare skin against satin sheets. Her heart beat fast, her pulse jumped. She disliked him, but didn't want him to let her go. "Have you been thinking about me?" His soft tone feathered over her flesh. "Only how much I dislike you." Lust pulsed in her belly. He pulled her head back gently by her hair, so they looked straight into each other's eyes. Their bodies pressed tightly together. "Liar." Anyways, today's topic is "the easiest part of writing." This topic is difficult and simple all at the same time. There really isn't an easiest part when it comes to writing. It doesn't matter how long you've been writing because while there are areas where I feel I've come a long way in, but I don't necessarily consider them easy. I agree with the writing quote since I have several ideas for novels and novellas, yet getting them down and then revising them -- let alone finding publication -- can be much more challenging. Why? It involves that large dose of perspiration. Some days it's a concentrated effort to sit down and write, yet it's easy to lean back, daydream for a moment, and get the greatest idea for a new story. So, what do I feel most comfortable with? That's probably a better term than "easy." I enjoy coming up with new story and character ideas. Meeting new and intriguing people and figuring out what odds are against them and what they want is always really exciting for me. There's also dialogue. I enjoy writing dialogue because that allows the characters the opportunity to show their personalities through the words they say, or don't say. I've met people who have a hard time writing dialogue, but I just think of it as if I'm watching my hero and heroine talk like I'm watching them on the movie screen in my head. Basically, just listen to the voices in your head. No, you're not crazy. You're a writer! What about you? What do you feel most comfortable with when it comes to writing? I'd love to hear what y'all have to say. Thank you Sarah for having me here today! One of my favorite things about writing is the use of tropes, or common themes, in stories. I know some will cry cliché, but what makes a cliché such is that everyone can relate to it. The same idea applies to tropes. The trick is to give it a little twist and make it one's own. One of my favorite tropes is 'fish out of water'. Seeing characters grapple with a new unfamiliar world, while falling in love, natch, is just a fun story to write. And time-travel makes it oh-so easy. In my first novel Kiss Me, I'm Irish, a girl from regency-era Cornwall is fast-forwarded to modern-day Tennessee—from a life of relative privilege and comfort to having to depend on a starving artist and his thieving sister. The ideal environment for a romance, right? Of course! In my latest series, Apocalypse Babes, the main characters are sent into the past, to a year before they were born, but in a time maybe not as unfamiliar to them as they thought. 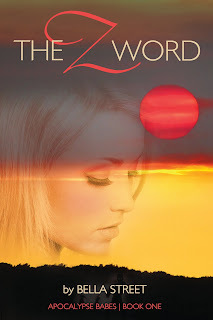 In Book One, The Z Word, Seffy Carter and her longtime friends Gareth, Addison and Lani, share a past dysfunctional and dark enough to keep them bound together under do-over identities. But rends develop in their relationships from the flesh-eating pressures of ending up in 1980, in a Montana desert, surrounded by zombies wearing dated disco duds. So not only is there time travel, but zombies! Zombies are a great trope symbolizing the fact that one can't out-run not only death, but secrets as well. Add magical pink velour (the 'twist') and you got yourself a novel series! Er, at least, I do. Perhaps the best trope of all is that people like free stuff. 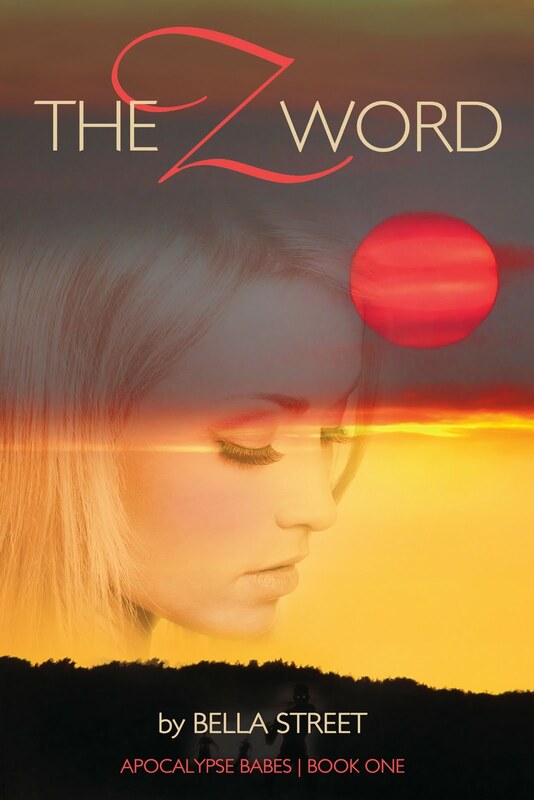 In honor of that common desire, The Z Word is free at Smashwords. And if you want to review it, blog about it, rant or tweet about The Z Word, you also can enter my contest! The grand prize is a Juicy Couture tracksuit (*Legal: publisher cannot confirm magical properties or the lack thereof of said tracksuit), with second and third prizes of Pink perfume by Victoria's Secret and an Amazon gift card, and other free stuff as well. Check out Apocalypse Babes for details and rules. So indulge your desire to connect with themes common to humanity (reading, zombies, free stuff) while being amazed at the twists (what's the author been sniffing?? ), and enter for that thrill of maybe winning something cool and/or free. Visit the author at www.bellastreetwrites.com. Read her blog at www.bellastreetwrites.blogspot.com, send her Tweets @BellaStreet. Don't forget Face Book! And please read The Z Word. It won't cost you a thing and maybe then the zombies won't get you*. If you're interested, here's the list of my where I was on the Techno Crazed blog tour. I enjoyed seeing everyone there! I'll begin building a blog tour list for my upcoming release Jungle Heat soon, so stay tuned for that. 6/22: Kinley Baker : What is Cyberpunk?